Cuirt na hAbhainn - sold for €261,000. As the residential sales team in DNG Maxwell Heaslip & Leonard approach the end of another successful year, they are wrapping up the last few sales with less than two weeks of the year to go. Kyle O’Brien and the residential sales division have had another very promising and positive year, listing and selling more than 100 properties across Galway city and county. 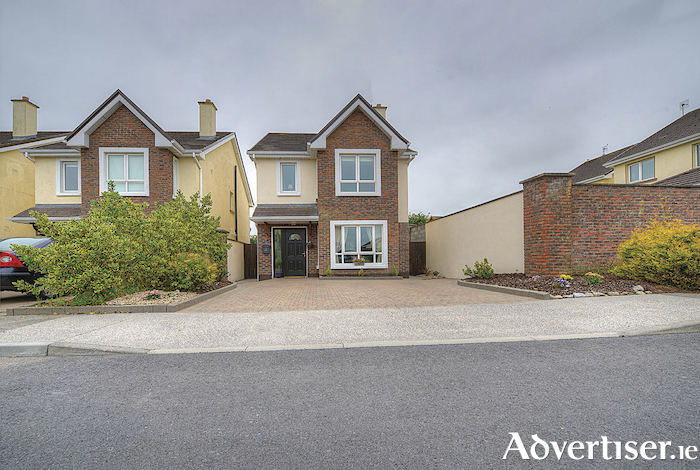 With 89 per cent of these properties achieving in excess of their initial asking price, they continue to show why they are among the leading agents in the west of Ireland. While there is still a strong demand for all house types, most notably family homes, there are particular areas of the city that continue to be as popular as ever, with buyers who want to be within walking distance of the city centre. O'Brien commented: “We have had an exceptional year selling inner-city centre homes. In the past, city centre properties were geared up towards the investor, which is no surprise with the high rents being achieved. However, when you see our city centre sales this year, they have mainly been snapped up by owner-occupiers. While there have not been any drastic differences between 2018 and 2017 in relation to prices increasing or decreasing, the sales team have noticed and identified some interesting movement and trends in certain price brackets of the market. Most notably, properties in excess of €450,000 needed a little bit more time and patience in order to agree and complete a sale. The Salthill and Knocknacarra areas continue to lead the way as the most sought-after locations in Galway. This is clearly evident with the latter and the continuation of new residential developments still being built (with more to follow ), new primary and secondary schools, hotels, bars, retail parks, and shopping centres. Kyle O'Brien added: “Knocknacarra is still a hugely popular location with sales prices still on an upward trend. In one particular estate, we sold two identical properties with the same orientation, both owner-occupied, in great condition but with a 10 per cent increase in the selling price within a six month period. The Roscam/Merlin Park area offers similar stories, with house prices increasing by eight per cent in the past 12 months. We simply can’t get enough second-hand homes to meet the demand and this looks set to continue into 2019. The residential team have not only been busy selling around the city, but they have also seen a surge in stand-alone detached properties around the county. Areas such as Corrandulla, Corofin, Headford, and Claregalway are achieving exceptional prices in recent months. Buyers are beginning to realise that there is still excellent value to be had only 20/25 minutes from the city. These new buyers who have widened their search area, are now competing with those originally from these areas, who are extremely focused to get to their roots. The run-up to Christmas and the end of the year has typically been a slow time in relation to new properties coming on the market. However in recent years the St Francis Street based agent has noticed a spike in sales being agreed and completed towards the end of the year. “A lot of it is down to those ex-pats home for the holidays, who are adamant to get a deposit down on a property before they travel back. A lot of them are cash buyers and have all their homework done before coming home and already have all the viewings lined up. We currently have ongoing transactions with clients in Canada, Australia, Dubai, US, and Indonesia,” O'Brien said. It is expected that the financial institutions will be back lending in the New Year and the market for 2019 will predominantly be dominated by mortgage approved buyers. With a six-month time frame for mortgage approvals, most buyers will be actively looking to make a purchase. However the ongoing issue, while improving slightly, is that of supply. O'Brien added: “As a result, and through no fault of their own, mortgage approved buyers are placing bids on numerous different properties with the intention of buying whichever one lands in their favour. From an agent and sellers' point of view, this is not ideal, but until supply meets demand, this will be an ongoing issue. During 2018 supply did slightly increase throughout the year. We saw the first real signs of the new homes supply coming to the market. Demand for new homes from first-time buyers was, of course, made far more appealing with the help-to-buy scheme, which makes the purchase of a newly-built home that bit more attractive than a comparable second-hand property. Make sure to keep an eye out for our latest development, An Fuarán, coming soon in Oranmore village through our new homes division. The residential sales team at DNG Maxwell Heaslip & Leonard wish everyone a very merry Christmas and happy New Year. If you have any sales or rental inquiries contact 091 565261.